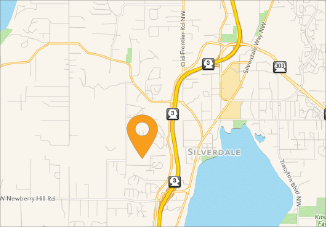 Kitsap Humane Society | New Dog Play Yard Opens! New Dog Play Yard Opens! 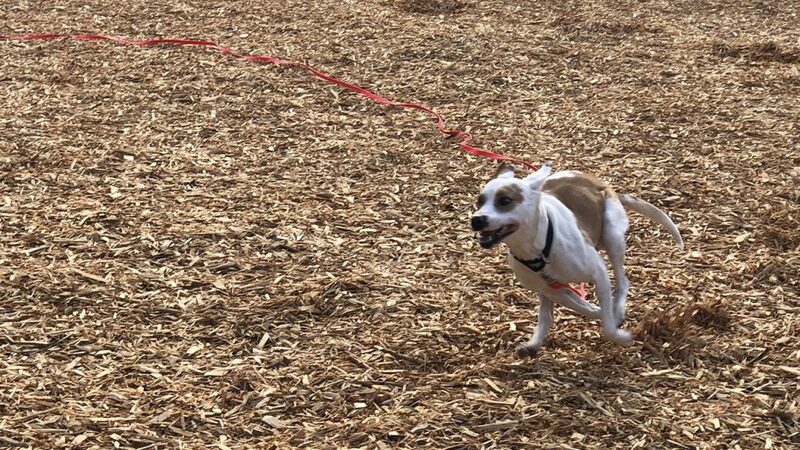 A shelter dog named Vander sniffed the fresh spring air and then did an enthusiastic round of zoomies for delighted guests during the debut Tuesday of a new, 4,000-square-foot shelter Dog Play Yard at Kitsap Humane Society. 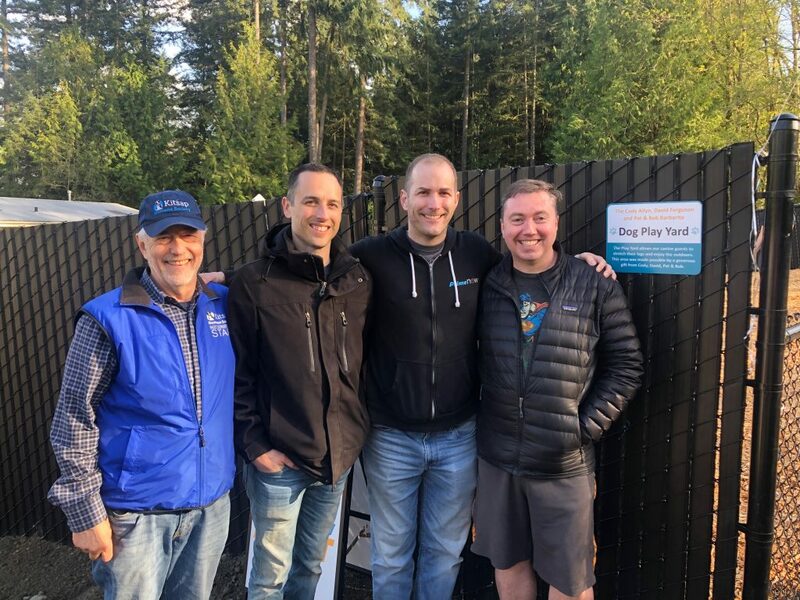 The Cody Allyn, David Ferguson and Pat and Bob Barbarita Dog Play Yard at Kitsap Humane Society was celebrated with a toast honoring donors Allyn and Ferguson of Bremerton, animal lovers and longtime supporters of KHS. The Barbaritas, who live out of state, were unable to attend. The expansive play yard will give shelter dogs a break from their kennels and a place to run, play, chase balls and meet other dogs – activities that are essential to their well-being while at KHS. The completion of the play yard is especially critical now. The previous dog play yard was demolished late last year to make room for the construction of a new Pet Adoption Center opening this summer. 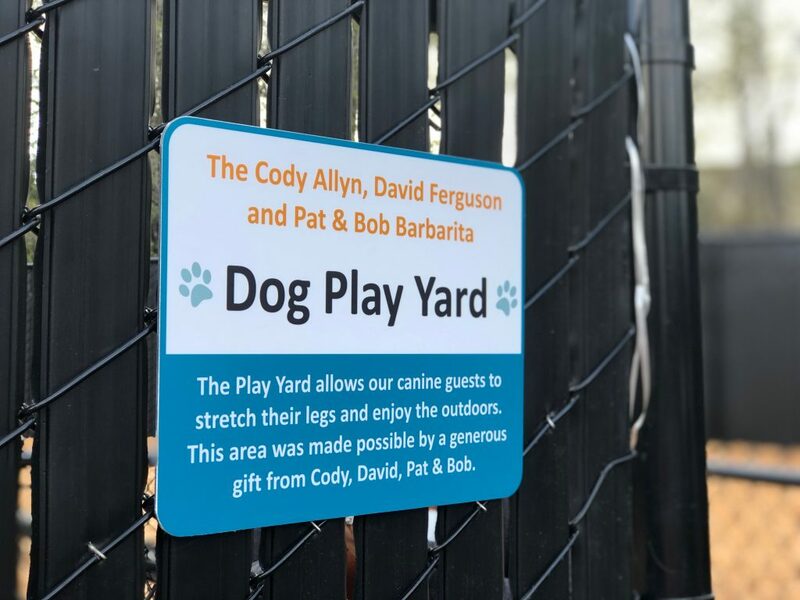 While the new shelter will offer better, more spacious and less stressful housing for the animals, the loss of the former play yard coupled with construction noise has made the need for an outdoor dog space more important than ever. “We’re so grateful to Cody and David for this amazing space and the enrichment it will provide for our shelter dogs,” said Assistant Animal Welfare Director Samantha Fairweather. Shelter dogs who have a place to run and play have a better chance of being adopted and having success in their new homes, she added. Allyn and Ferguson made the $50,000 contribution to build the play yard during the annual KHS gala, Animal Krackers, last fall. Their donation was met with a standing ovation.